The 2018 Reebok Crossfit Games will take place from August 1 to 5 at the Alliant Energy Center in Madison, Wisconsin. This is the second year in a row that Madison has hosted the games and the city will continue to host them for the next two years. 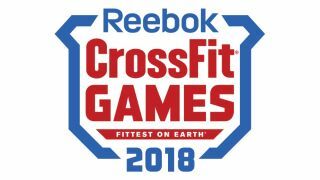 The Crossfit Games are already underway with Friday’s events scheduled to begin at 10am ET (7am PT, 3pm BST) while Saturday and Sunday’s events will begin at 9.30am ET (6.30am PT, 2.30pm). The Crossfit Games started all the way back in 2007 on a small ranch in Aromas, California and for the first two years the event was open to anyone who came to participate. However, in the last few years the sport of Crossfit has gained tremendous popularity worldwide and the Crossfit Games have expanded to the point where there are now three stages of the competition: The Open, Regionals and the Games. The athlete categories are Individuals and Teams and Masters and Teenagers. Since all of the different athlete categories will be competing at the same time, it’s probably a good idea to check the full schedule if you don’t want to miss American Mat Fraser who won the games in 2016 and 2017 or Australian Tia Clair Twomey who won in 2017. If Crossfit is your workout of choice or you’re a big fan of the sport itself, you won’t want to miss the 2018 Reebok Crossfit Games. No matter where you’re located in the world, we’ll show you exactly how to tune in to the Crossfit Games for free where the fittest athletes on Earth will be competing for their share of this year’s $2.2 million purse. While the official Crossfit Games Website and Facebook will be showing the majority of the individual and team competitions as well as select events of the masters and teen competitions, CBS Sports will be streaming more than 90 hours of live event coverage of teams and individuals on its website. If you’d rather watch the Games on your favorite streaming boxes or even on a mobile device, you can with the CBS Sports app which is available on iOS, Android, Roku TV, Apple TV, Amazon Fire TV and Chromecast. Generally you would have to sign up to use a service like this but CBS is allowing anyone to watch the Crossfit Games for free with no authentication or sign-in required. Simply open the VPN app, hit 'choose location' and select somehwer in the US. Once your computer thinks its in the US, you can simply head to the CBS website and start watching absolutely free. Where can I the Crossfit Games live with a VPN? A VPN will enable you to watch the 2018 Reebok CrossFit Games from literally anywhere that it's not already showing. So that obviously includes all the countries from which the players come from, so: UK, Ireland, Canada, Australia, New Zealand, Spain, Japan, South Korea, China, India, Taiwan, South Africa, Thailand, Germany, Italy, France, Denmark, Sweden, Norway Argentina, Colombia, Costa Rica, Mexico and Venezuela.